"Just nice weather out today. Just something breezy." Cute lace blouse over a navy blue column dress. 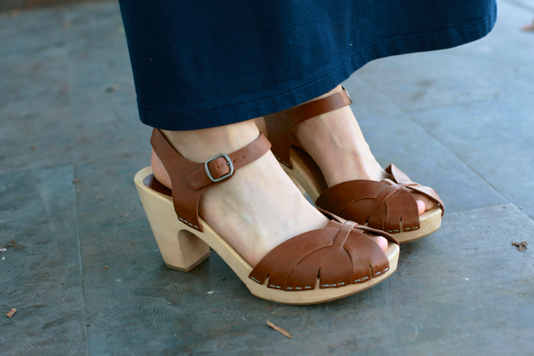 Cute chunky heeled wood sole leather sandals.